CICT would like to inform that subscription for NVIVO 12 software has been renewed. The subscription period is valid until September 2019. Application For A Nvivo 12 Pro Software. Please refer to Getting Started Guide to check on system requirements and installation instructions. 1. 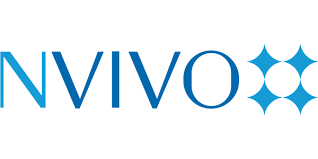 Download NVivo software from NVivo website (https://www.qsrinternational.com/nvivo/support-overview/downloads) or Software Center at MyUTM Portal (https://my.utm.my). 2. Install the software on your laptop/ computer. Please come to PPICTP (Block D07 CICT Level 3) to install a license key. Please bring your laptop. Please come to PPICTP UTMKL Campus to install a license key. Please bring your laptop. Should you need any further information, please do not hesitate to contact us via aduit@utm.my or cictcareline.kl@utm.my.